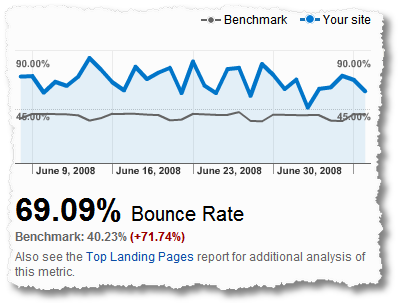 What’s the point of getting a good search engine keyword rank if your website won’t convert any traffic? Short answer: there isn’t one. We’ve all seen them; websites that rank among the top 3 results for our search queries, which waste our time with content and headlines that seem empty and meaningless. These hollow websites typically will have pages upon pages of content, with thousands of words, in which very little is actually being said. 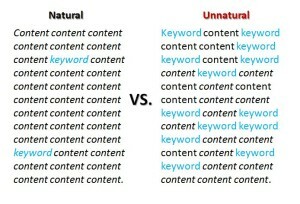 I see a lot of this “keyword stuffed” content in my own industry, because I rub elbows with those who are supposed to know about SEO better than anybody, but end up crafting pages that contain matching keywords but little else. What many business owners seem to overlook when creating these so-called ‘search engine friendly’ and optimized pages, is the simple fact that if your content isn’t immediately interesting and engaging, your visitors leave your site in a matter of seconds. Your website needs to have a goal to convert its traffic instead of just yielding a high number of visitors and hoping for the best. Remember to try and get to the main points quickly, making sure your articles are rich with original content, and has a lot of valuable information to offer with a unique perspective. Without this type of structure and strategy, you may only yield traffic with low visitor engagement, few page views and a high bounce ratio. Many experts believe that major search engines, such as Google, are also measuring data on your visitor behaviour and engagement levels after they click through to your site from a SERP. This click-through behaviour is known as “dwell time”. If your website by design bounces a high percentage of visitors, quickly sending them back to the SERP page, this may negatively impact your rankings in the long term. Have an objective look at your Analytics data and see what pages most visitors exit your website by, which may give you an indication of where things are going wrong. Keyword stuffing may only prove to create a poor user experience. Understand that the main point of your website should be to convert whatever traffic you are yielding -it’s not just about your visitor count. Don’t worry about keyword stuffing as much as you do your visitor experience and engagement level. Carefully structure your data so that you can deliver quality content and information to your site visitors right away, which will increase dwell time and protect your website’s SERP positioning in the long run.